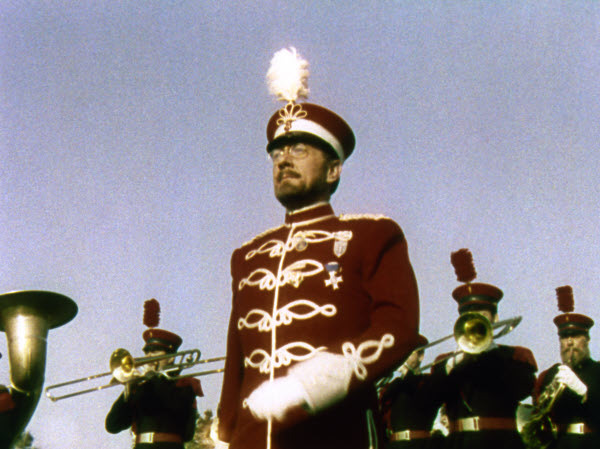 STARS AND STRIPES FOREVER is a featherweight 1952 biopic of the great bandleader and composer John Philip Sousa. 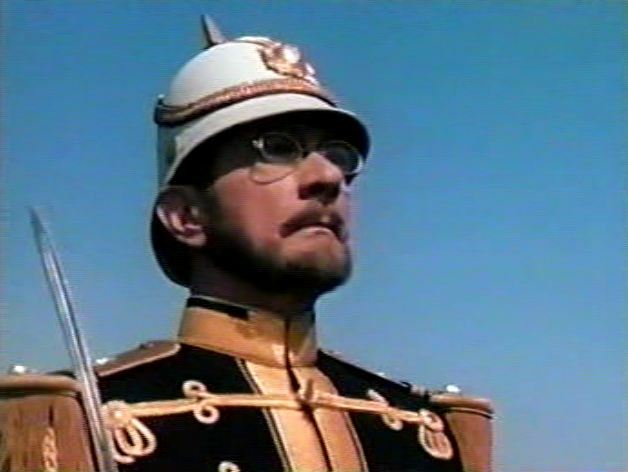 Clifton Webb plays ‘The March King’ with ramrod firmly in place, and the script merely wraps blathering vignettes around performances of Sousa’s rousers, tossing in a romantic subplot involving young Robert Wagner and Debra Paget. Nice color, adequate production values and a fairly fast pace moves it along in 90 minutes. 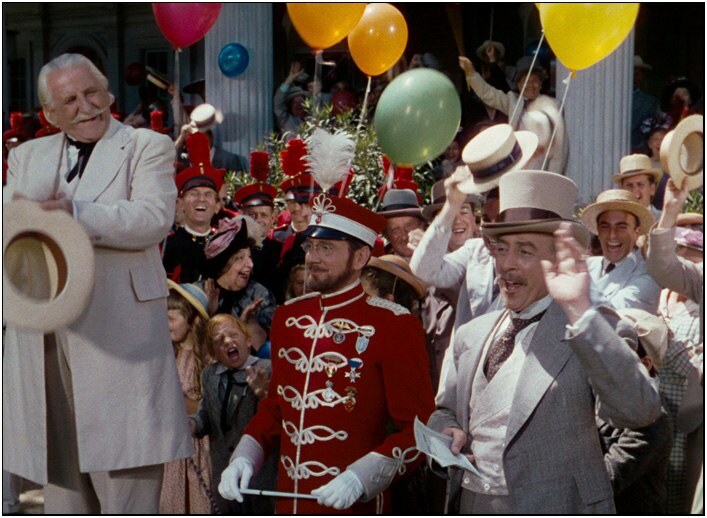 What counts here—all that does, really=–are the orchestrations and delivery of the man’s best tunes, as done up under the baton of 20th-Century Fox’s musical genius in residence, Alfred Newman. 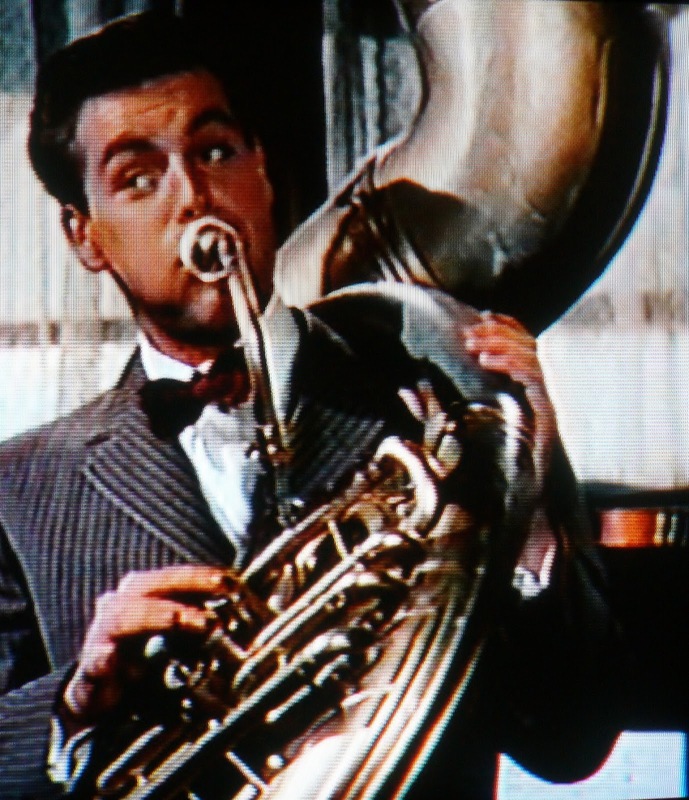 9-time Oscar winner, composer and/or arranger for the scores of over 200 films, Newman’s master touch wrapped great films in glorious soundtracks, among them The Hurricane, Gunga Din, The Robe, Love Is A Many Splendored Thing, Captain From Castile, How The West Was Won. Those who thrill to the strains of patriotic parade-ground sounds should catch this one for the Newman renditions of Sousa’s classics. Directed by Henry Koster, with parts for Ruth Hussey, Finlay Currie, Roy Roberts, and a 17-year-old George Chakiris (unaccredited, as a ballroom dancer); it brought in $3,000,000.